A quiet title action is a legal procedure that seeks to “quiet” claims to the property, so that an owner is guaranteed a clear title. Understanding this process is crucial for real estate professionals, as it can be an incredibly effective way of establishing true ownership. Traditionally, quiet title causes of action are between co-borrowers, co-owners or family members who disputed each other’s’ contributions and interests. In non-judicial foreclosure states, a quiet title actions can be brought to challenge lenders and trustees who appear on a borrower’s deed of trust, but no longer have any interest or no longer exist. The purpose of a quiet title action is to establish title of the property and determine who actually has legal interest in the property. A quiet title action may also resolve other existing issues between the parties and the property, and the court has the discretion to hear other motions of any party and require a resolution. As noted, a quiet title action does not need any active disputes to be initiated. Instead, it’s just a way to guarantee that ownership is free and clear for future homeowners. A plaintiff, buyer, or new homeowner will file an action, which will include anyone in the property’s present or past who may have a claim to it. A major benefit of a quiet title action is that once a determination has been made in favor of the plaintiff, no challenge to their ownership can be made in the future. The goal of a quiet title action is to establish free-and-clear ownership of the property, and to resolve any defects found in a property title search. Depending on the circumstances, the process and outcomes can change. For example, in the case of an inherited property, the inheritors and potential buyers, or new homeowners, will want to have a quiet title action so both are protected–the inheritor as the seller and the buyer as the official property owner. If a mortgage is involved in the quiet title action, the borrowers may have to bring the suit, regardless of who owns the property. Quiet title actions will also clear up any outstanding liens on the property due to any administrative errors. This can be more common in foreclosed properties, where the volume of transactions can lead to recording mistakes. Finally, quiet titles are often used to resolve any potential issues with a quitclaim deed. 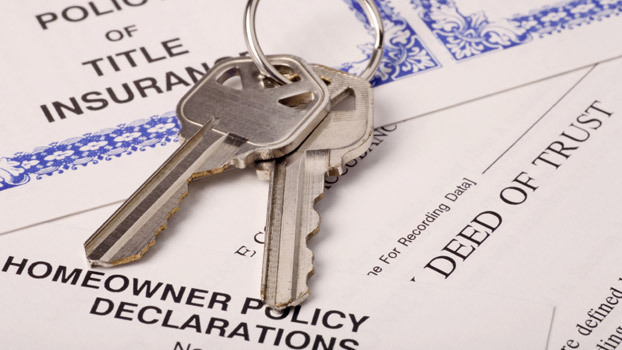 While quitclaim deeds do pass on ownership of a property, they don’t guarantee a clear title, which means issues with ownership can arise in the future. Doing a suit immediately upon purchase via a quitclaim deed is typically done to secure ownership. How Long Does a Quiet Title Action Take? A quiet title action usually takes 8-10 weeks to complete. The process may take longer or may be shorter depending on certain factors surrounding the dispute such as the Court rulings on certain matters. Because conflicts in property ownership may lead to possible litigation, it is wise to consult a property attorney. An experienced attorney can examine your title, title search results and title insurance policy, to ensure that you are protected against possible clouds on title. Familiarity with quiet title actions is a must for real estate professionals who want homeowners to have peace of mind. Contact us today to learn about even more resources for resolving property title issues.